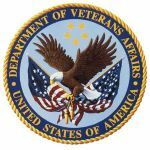 Veterans' healthcare adds 1,900 mental health clinicians in an effort to reduce appointment backlog and a record numbers of suicides, as the Ninth Circuit Court of Appeals decides enbanc it does not have the authority to speed veterans' treatment. In other news a VAOIG audit has identified areas where registered nurse (RN) competency assessment and validation processes needs improvement. Specifically: standardize RN competency assessment and validation requirements across facilities; include the RN competency validation documentation elements required by Joint Commission standards and local policy; ensure all RN competency documentation is maintained in a competency folders that is current and validated; and take appropriate actions when RN competency expectations are not met.